Home » Auto insurance » Car insurance » Insurance » Is Your Car Insurance Policy A Lemon? Is Your Car Insurance Policy A Lemon? In almost every state in the US, you have to carry car insurance if you want to drive legally. A few states allow uninsured drivers to continue driving, but those people still have to pay into a risk pool that can cost as much as insurance. Because everyone has to have an insurance policy, however, it can be easy to get stuck with a company that charges too much, doesn't respond properly in the event of an accident or doesn't offer the right discounts. If you have one of these insurance policies, you might not even know it. That's because the vast majority of America's 450,000 drivers find one insurer and stick with them. If you haven't spent much time shopping around for new insurance, you may not be aware that your current policy is something of a lemon. Here are some warning signs to look for in case you're concerned about the quality of your auto insurance. 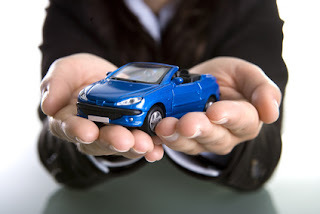 Good car insurance companies are available when you need them. If you call or email and don't get an immediate response, your company should reply within twelve to twenty-four hours. Your insurer should never make it hard to contact them, especially if you've had an accident or need to ask questions about your insurance policy. If you've had your car insurance policy for many years, you can expect rates to rise a little with inflation, but they should be balanced with discounts for customer loyalty and good driving. Similarly, if you've had an accident, you can expect your premiums to rise a little, but they shouldn't skyrocket. If prices just seem to keep rising, it may be time to look for a new car insurance policy. Remember that the best-looking deals can come with a lot of strings attached, so it's important to do your homework as you search. 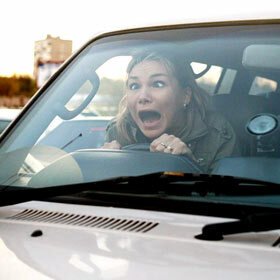 Any good car insurance company will offer a range of discounts to encourage good driving habits. Generally, you can expect discounts for a clean past driving record, very good credit and maintaining other insurance, such as your life or home policies, with the same company. Young drivers, who are often at a disadvantage because of their experience, should be able to improve their premiums by maintaining good grades or taking driving safety courses. If your car insurance company is unwilling to offer discounts of this kind on your policy, you may be looking at a lemon. Many people carry only the minimum car insurance required by their state or local area. When you need it, however, your insurer should be willing to offer a range of different options that allow you to put together the perfect policy for your needs. You don't drive the same car, make the same amount of money or live in the same area as the rest of the people your insurer covers. Why should you have to use the same insurance policy. Avoid insurers that offer just a few “one size fits all” policies and won't adjust your coverage according to your income, location and coverage requirements. You should never feel pressured to choose one particular policy or upgrade to carry more coverage than you feel you need. If your insurer likes to send you a lot of marketing materials, pressures you via email, phone or in person to choose a bigger policy, or otherwise makes you uncomfortable, it's time to look for another option. Good insurance companies will offer you a range of higher-end policies, but they won't make you feel obligated to buy them. You should be able to expect your insurance agent or company representative to lay out the differences between policies for you, then let you make your own decision. If you feel like your insurer is using hard sell tactics, find a company that respects you more. When it's time to leave your old insurer and look for a new company that'll treat you better, start your search online. You can get plenty of free quotes and find the widest range of options that way, and you won't have to feel hemmed in by your local agents. Be sure to check out policies from many different insurers. Make sure you feel comfortable with the terms, flexibility and customer service of your insurance company. No one should have to feel like they're stuck with a car insurance policy that doesn't meet their needs. If yours seems to be out of date or unfair, it's time to shop around. Your policy doesn't have to be a lemon.